Dr. Schmidbauer is a member of our classroom teaching team for the Comprehensive Orthodontic Education program in Tulsa and is a presenter in our annual Symposium. 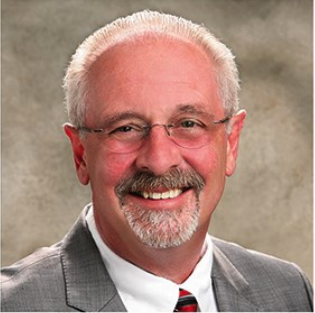 Joe joined the Gerety Comprehensive Orthodontic Education course in 1990, incorporating orthodontics into his practice and continuing to build that practice component utilizing the Gerety non-extraction straight wire philosophy for 29 years. His vast experience includes completing over 2,000 orthodontic cases. Since 2010, Joe has taught the philosophy and mechanics of Dr. Robert G. Gerety in the classroom in Atlanta, Nashville, and currently with the team in Tulsa. Joe graduated from Ohio State University College of Dentistry in 1979 and has maintained a private general practice in Oregon, OH, for over 32 years. He began adding orthodontics to offer his patients an alternative to the extraction philosophy being practiced in his area. Dr. Schmidbauer soon became an advocate of the non-extraction philosophy of orthodontic treatment taught by Dr. Gerety. Joe is a member of the American Dental Association, the Ohio Dental Association, International Association of Orthodontics, and the American Orthodontic Society. In 2003, he was awarded Diplomate status from the AOS. He is a past president of AOS and has served as an examiner of their credentialing program.